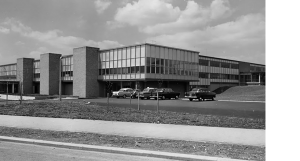 Business centre Bedford Heights, which was once home to Texas Instruments, is hosting a special reunion in May for those who used to work at the electronics giant which operated in Bedford from 1960 until the early 1990s. 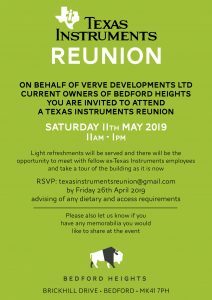 Following extensive renovation, Bedford Heights has become Bedford’s most desirable business location and is holding a reunion on Saturday 11th May to bring together former Texas Instruments employees and give them the opportunity to meet old friends and see the building as it is now. Purpose built for Texas Instruments in 1960 and based on a blueprint of their Dallas HQ, complete with a hurricane-proof roof, Bedford’s iconic glass building on Brickhill Drive housed the company for over 30 years until the firm scaled down its UK operations and relocated to Northampton. 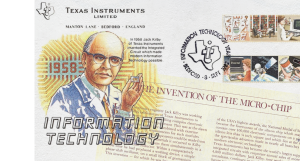 Known for its calculators, ‘Speak & Spell’ children’s computer and Nobel prize winner Jack Kilby, who invented the microprocessor, Texas Instruments was once one of the town’s biggest employers. Following Texas Instruments’ departure, the building was reconfigured to create office space, with several different landlords taking responsibility for the site, until current owners Verve Developments Ltd bought it in 2014. Bedford Heights is the town’s premier business destination offering contemporary office space, conference and meeting facilities, café, lounge, co working, and onsite gym and hotel. To find out more about Bedford Heights visit www.bedfordheights.co.uk.